Who Should Use the Behringer X32 Digital Mixer? What Are the Main Features of the Best 32-Channel Digital Mixer? Why Did We Choose the Behringer X32 As The Best 32 Channel Digital Mixer? Why Should You Consider Buying the Behringer X32? The Behringer 32 is the top rated digital mixer in this price range, offering phenomenal sound quality and a total of 40 input channels, including 32 mic preamps. 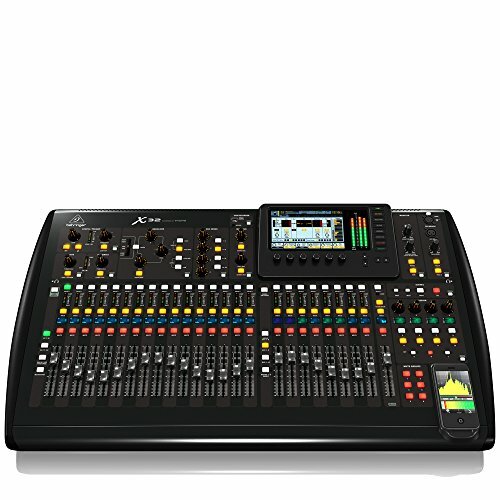 That is why we feel it is the best 32 channel digital mixer for your church services. 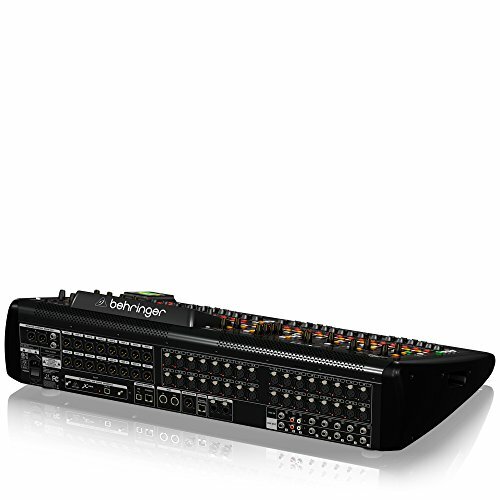 The Behringer X32 is recommended for all types of performers. It is suitable for use in almost any environment including church sanctuaries and meeting spaces and is one of the top-rated mixers in its class. With 32 professional quality microphone preamplifiers, the Behringer X32 is recommended for anyone that needs a lot of inputs. The 32 mic preamps allow you to use this digital mixer for a full worship team, small orchestra, or church choir. It is large enough to suit a wide variety of situations. Along with the 32 preamps, the Behringer includes 16 outputs, along with two phone connectors. These outputs are useful for live settings where you may need to connect monitors. Live performances, church services, lectures, drama teams, and other live events are the perfect use for the Behringer X32. The digital effects, quality faders, and powerful scene management feature also make the Behringer X32 a great choice for a home studio. It includes the I/O configuration that you need, along with a versatile board layout to suit any style of music. You should first learn more about the microphone preamplifier when choosing the best 32-channel mixer. These channels mean nothing if the sound that they receive contains lots of background noises. For example, the Behringer X32 uses high-end preamps designed by Midas, which are widely considered among the best preamps available. You also need to examine the outputs of the mixer. If you plan on using the mixer for live sound, you may need to connect monitors or PA speakers. These options require outputs. You may also want more outputs than you currently need. For example, if your current setup requires two outputs, you may eventually add more monitors, requiring more outputs. The interface is also important when choosing a mixer. With 32 channels, you are going to have a lot of knobs, switches, and faders. A poorly designed board layout will be confusing, even if you have experience with sound mixing. The final details include the onboard effects and EQ settings. With a digital mixer, you should have a variety of options for adjusting the sound, from pre-programmed effects to equalizers and recall abilities. The Behringer X32 is the best buy for 32-channel digital mixers for a variety of reasons. At the top of the list of reasons is its overall sound quality. The combination of Midas-designed preamps, proper routing, and superior design help to deliver phenomenal sound, when paired with quality gear. 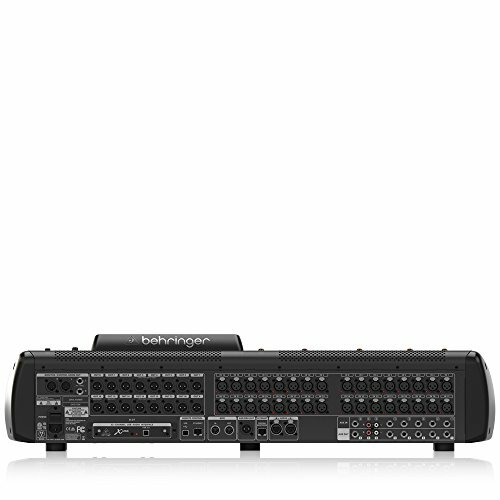 Basically, the Behringer X32 is the top of its class, especially when you consider the price. For about $2,000, you get a pro-grade mixing console with a wide range of settings. You get the versatility that you need for a professional studio or live recording, along with the simplicity needed when you are first learning how to use a mixer. 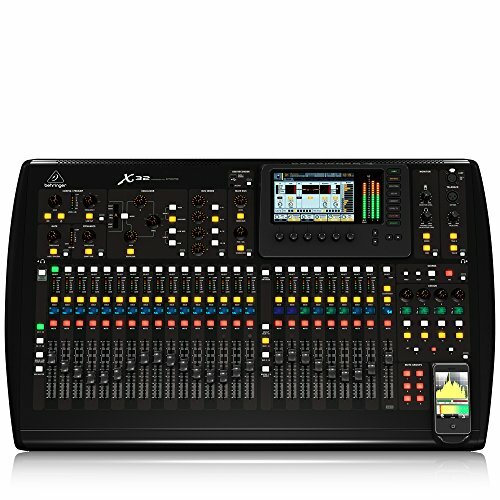 The Behringer X32 includes several other features that help make it the top 32-channel mixer, such as the LCD scribble strips, 25 buses, and motorized 100 mm faders. The LCD scribble strips allow you to create visual groups by adding tags or icons that you can quickly recognize while performing or recording. 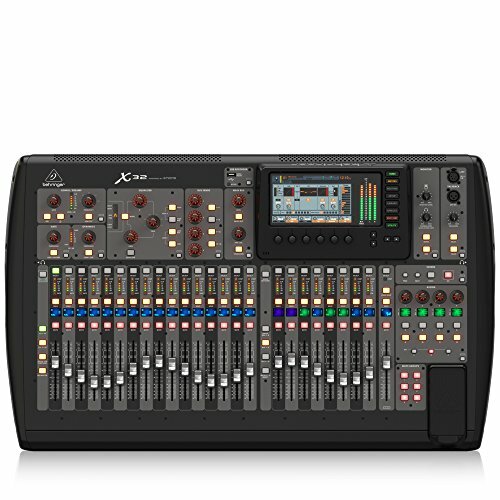 The X32 also includes motorized faders. These faders also work with the LCD scribble strips and the TFT display. There are separate fader sections for the inputs and the groups or buses, allowing you to assign the inputs or groups. The Behringer X32 has quite a few advantages and no major disadvantages. The primary advantages include the seven-inch TFT display, digital mixing settings, the 32 preamps, and the overall value of this digital mixer. The seven-inch TFT screen can display the settings that you use most often, providing quick and easy control over most of the settings on the console. You can adjust the effects, view the metering, routing, and more, with just the touch of a button. The Behringer X32 also provides an abundance of digital settings. You get multi-band digital equalizers and a wide range of pre-programmed effects through the 50 onboard effects engines. 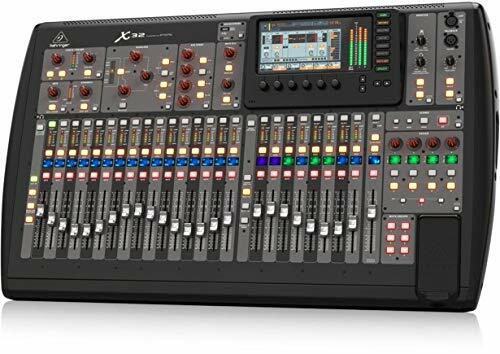 The X32 also provides recall settings and a variety of options for grouping inputs. The 32 preamps help add to the overall value of the Behringer X32. In fact, a large part of the price likely comes from the Midas-designed preamps, which deliver no noise or distortion. 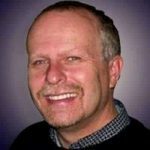 There are two possible disadvantages to the X32. The price is reasonable. However, some people may not have the funds for this mixer. Unfortunately, you are not likely to find the same quality at a lower price point. The other issue is the layout. While Behringer has done a great job of designing a layout that makes sense, the variety of buttons and knobs can be confusing. It may take some getting used to. 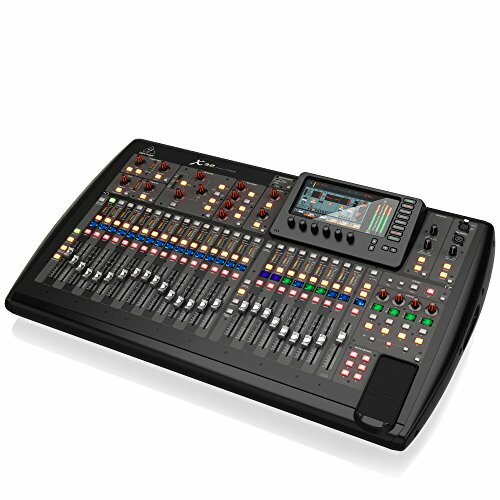 The Behringer X32 is the top option for anyone that needs a 32-channel digital mixer. It is the highest-rated option in this price range and provides a wealth of features to suit almost any professional’s needs. These features include a large seven-inch TFT display, motorized faders, LCD scribble strips, channel strips, and digitally-controlled amplifier groups. The Behringer X32 also emulates over 50 different effects engines, providing more versatility for tweaking your sound before each performance. You can also save these tweaks to avoid the need to adjust the sound each time. 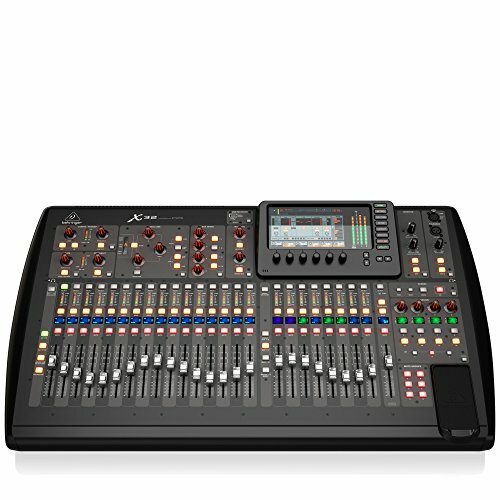 The Behringer X32 offers professional sound, effects, and settings in a durable frame. 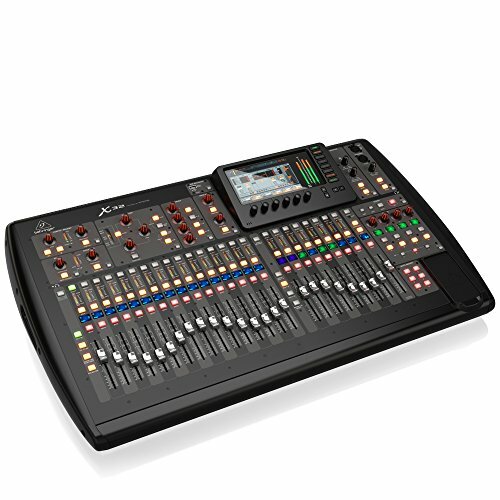 If this mixer fits within your budget, it is your best option for a 32-channel digital mixer.